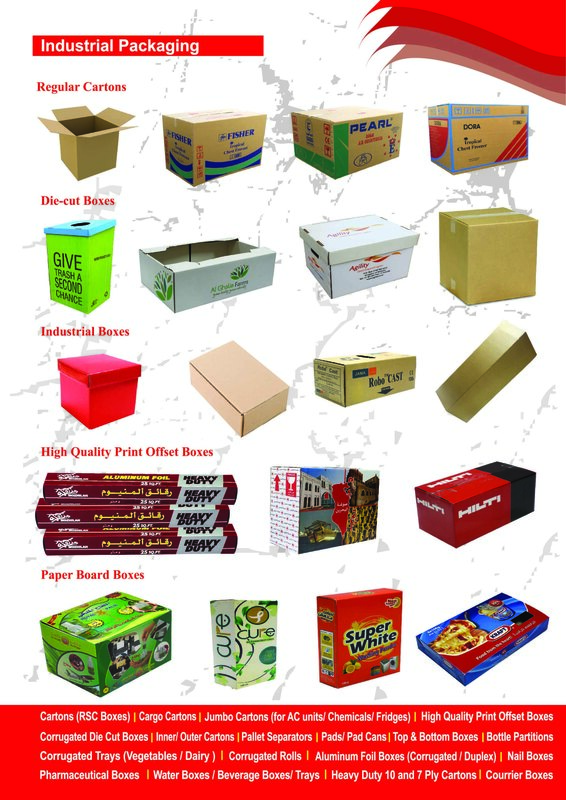 We specialize in providing various packaging solutions to industries all over Bahrain and other gulf countries. With our current infrastructure, we are able to offer our customers with flexo printing (basic quality printing on corrugated cartons) as well as offset printing (high quality printing on paper-board or cartons). Our core specialization lies in corrugated products. Almost everything you buy gets to market in a corrugated container often referred to by people outside of the industry as the cardboard carton or brown box. This “brown box” is the backbone of the corrugated industry. At Box Makers, you get a team of knowledgeable people continuously focused on the customers’ needs, not only thinking “about the box” but also “outside the box”. Here is a preview of just a few of the designs that can meet your unique packaging needs.